a sitter to stay with Stanley one day a week. This allows me, his wife and primary caregiver, time to go to appointments, run errands, and just “get out of the house” for a while. Thanks to Patricia, Sherry and Chris Sehorn for starting this Foundation and all of those who help to support them. 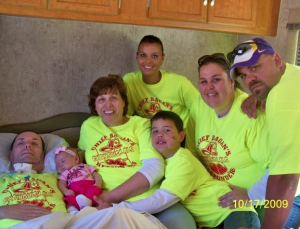 Update from Dennis Sehorn Foundation: Stanley passed away in March of 2012. Although we never had the privilege of meeting Mr. Ragan, we know by speaking with his family that he was a wonderful man and will be greatly missed.